"To make matters worse, certain individuals continue to perpetuate negative stereotypes about Republicans. Especially Republican women. Who do I feel is the biggest culprit? 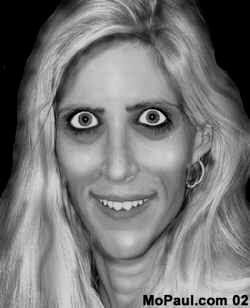 Ann Coulter. I straight up don’t understand this woman or her popularity. I find her offensive, radical, insulting, and confusing all at the same time." Who said it - Bill Maher? Keith Olbermann? Rachel Maddow? Meghan McCain, daughter of the Republican party's nominee for President.